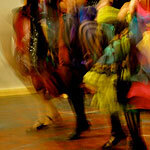 Local Motion…For the Love of Dance encourages a love of dance and movement. They present local and visiting talent and conduct workshops for dance and movement. We currently have an opening for Local Motion Program Director.